Stable automatic stacking technology enables single cell capacities of 5000mAh. Gens Ace 5000mAh 3S lipo batteries provide high quality, reliable power for MIKADO LOGO500, ALIGN T-REX550/600, GAUI X5, Outrage 550, Hirobo SDX, etc. 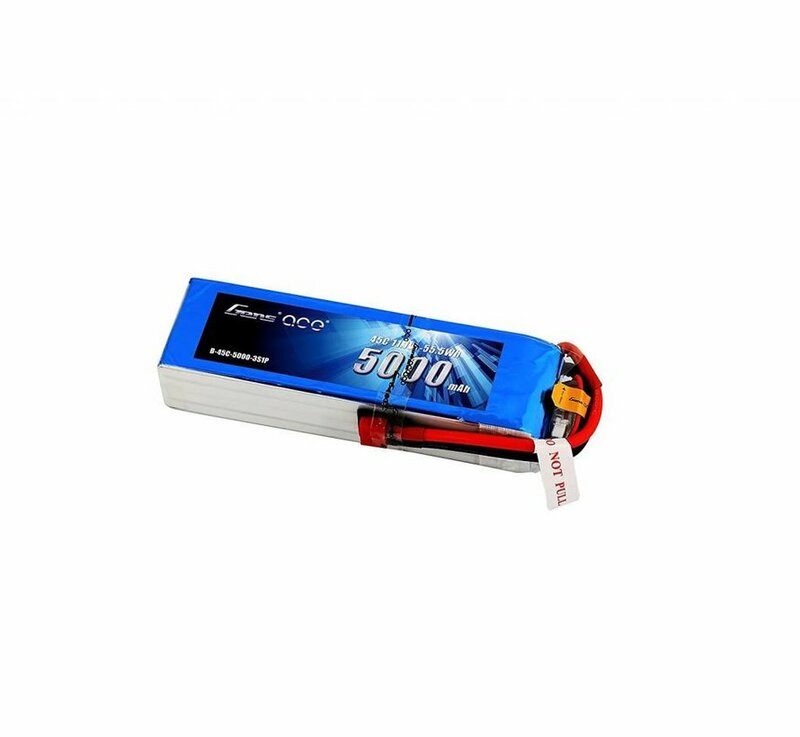 Application: Gens Ace 5000mAh 3S lipo is specially designed for MIKADO LOGO500, ALIGN T-REX550/600, GAUI X5, Outrage 550, Hirobo SDX, etc.